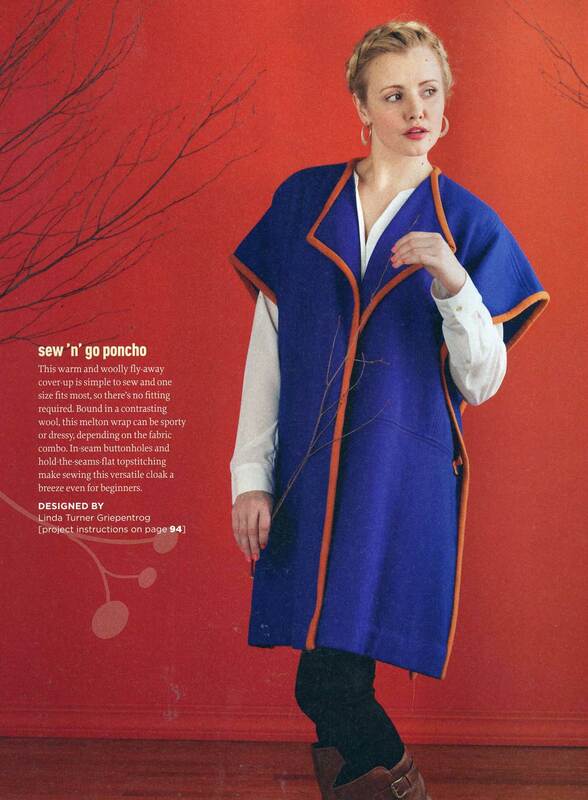 Stitch magazine: creating with fabric + thread, and Pendleton, too! The latest issue of Stitch has a “Spotlight on Wool,” and Pendleton and our Woolen Mill Store are featured all through it! 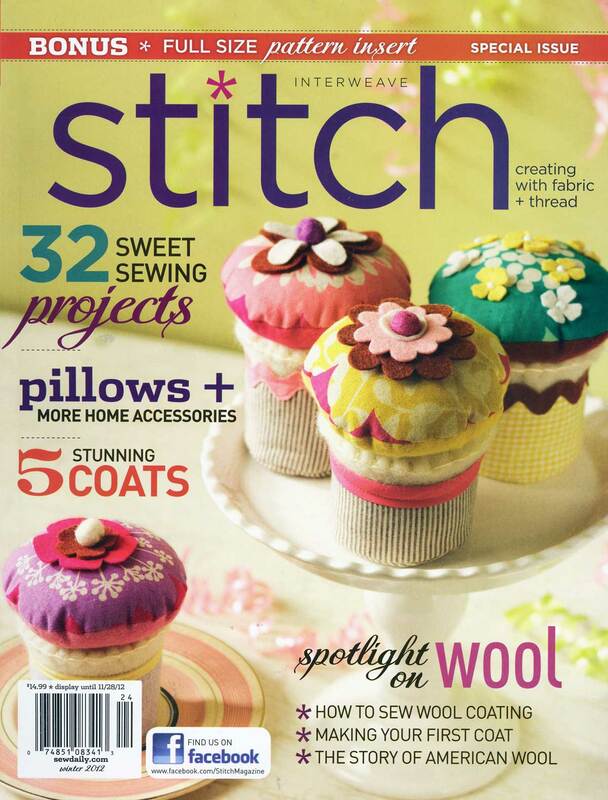 If you’ve ever had any questions about how to sew with wool, this issue of Stitch has the answers. From the rich history of American wool fabrics, to wool quilting and making your first wool coat, the Spotlight on Wool issue is full of project ideas, information and inspiration. Susan is a well-known quilter and crafter, whose recent book, Modern Log Cabin Quilting, features a Pendleton quilt. She is the president of Portland Modern Quilt Guild, and a frequent instructor on Wool Quilting at the Woolen Mill Store. Her custom baby quilt design using Pendleton Wool is sold at the store. Her articles for this issue draw on her textile expertise, and we are delighted to be featured in both. Michelle, a quilt and pattern designer, is a graduate of Parsons The New School for Design. She loves vintage hand sewing, which inspires her modern quilt designs. She works in the Embroidery Dept at Pendleton Woolen Mill Store, teaches craft classes at the store & sews projects for us. 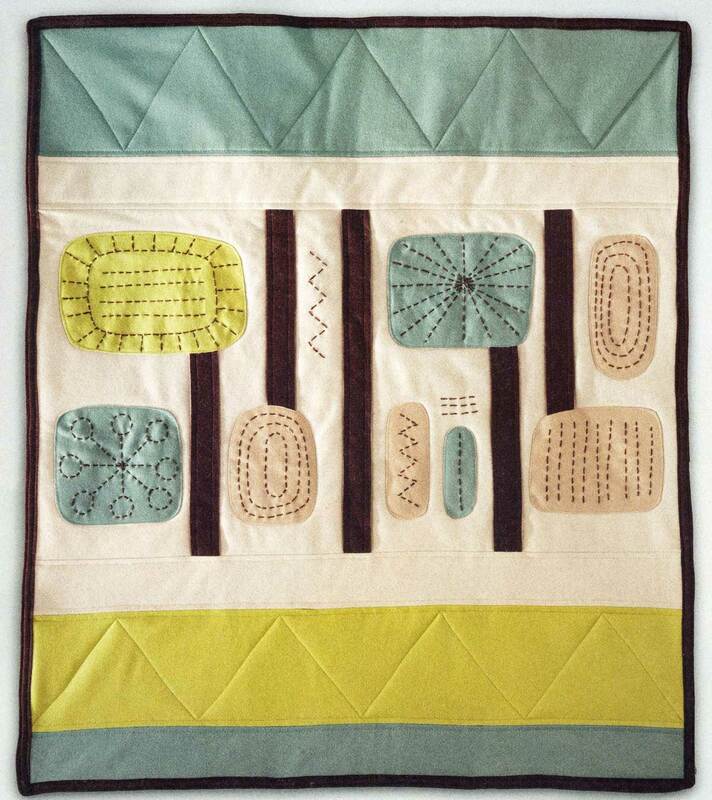 Michelle’s Go-Retro Quilt was inspired by a 1950s Temporama coffee cup. 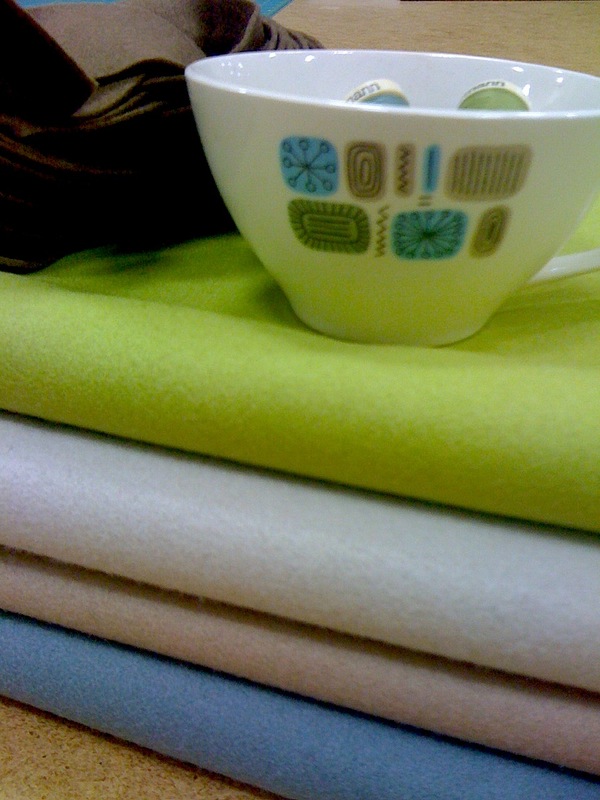 She recognized that the Eco-Wise wool color palette matched the cup’s colors. Michelle says the Eco-Wise sews like butter and swears by the ease of using wool for sewing projects, especially this darling quilt which is on its way back to the store soon for display. Linda is a Contributing Editor of Stitch, and owner of G Wiz Creative Services. This article provides great information on which coating wool is best suited for your coat project, like how to match weight with weave. All the pictured wools are Pendleton. Linda’s Sew-and-Go Poncho on pg. 50 uses our Royal Blue Melton and Squash Eco-Wise fabrics. 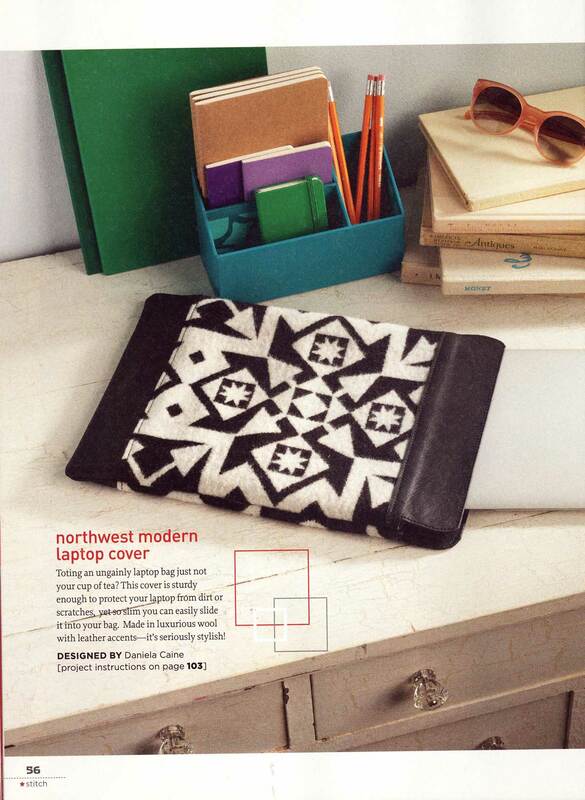 Daniela is a fantastic pattern designer who designed this laptop cover in Pendleton jacquard and leather. 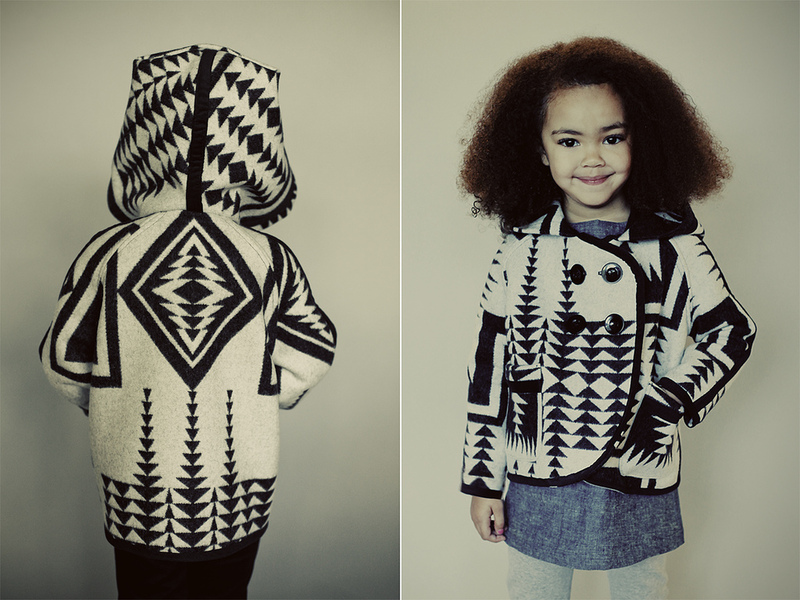 She also designed this adorable kid’s coat using our Walking Rock fabric. Daniela’s expertise extends to quilting as well as pattern making, and she is published in Susan Beal’s Modern Log Cabin Quilting. We are so proud of our designers and their terrific projects that showcase our Pendleton textiles. Stitch is available in our store, so stop by and get yours. 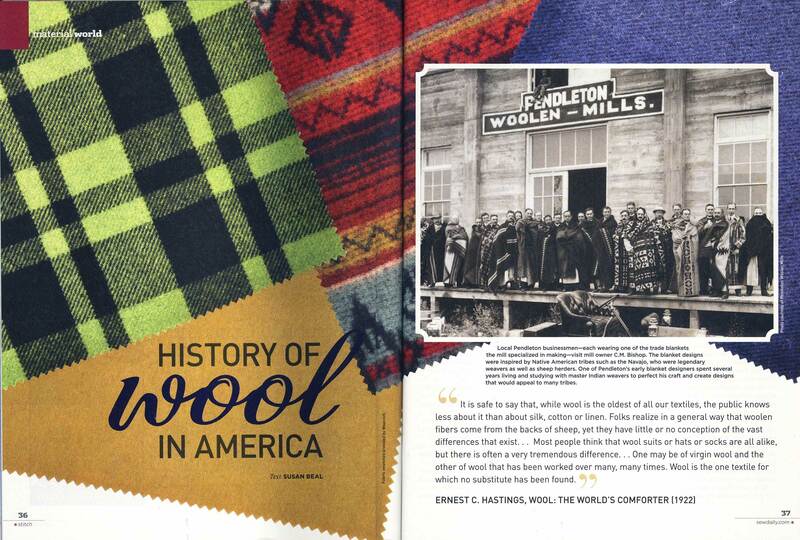 As you read through the magazine, keep an eye out for the Pendleton Woolen Mill Store ad, with fabrics that will be featured on the store’s blog next week. And don’t forget the Fall Fabric Sale starting 9/4/2012 – that will be our largest fabric sale event of the year! This is so great! I’m a fan of all these ladies – and their work – and am so happy to see them featured in Stitch. What wonderful exposure for Pendelton, too! Can’t wait to try some projects with my new wool bundle from the store! My sister would love this blog. She is really into Michael Miller fabrics and she really enjoys learning about the different types of fabrics and styles that are going around. Thanks for sharing this information. beautiful blog. If you are looking for a vast and unique selection of wool B&J Fabrics is the place to go.